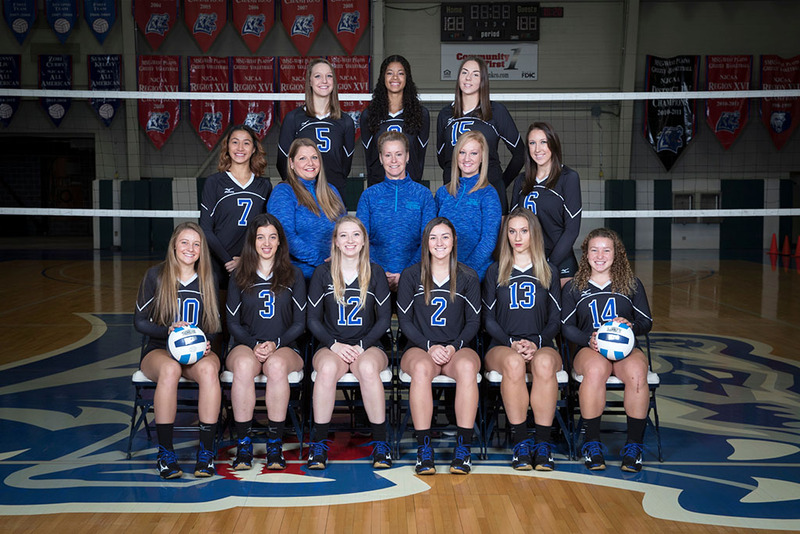 The 2017 Missouri State University-West Plains Grizzly Volleyball team and eight players recently received academic honors from the National Junior College Athletic Association (NJCAA). The team received one of the NJCAA’s 20117-18 Academic Team Awards. “I am proud that our players’ hard work in the classroom has been recognized,” Grizzly Volleyball Head Coach Paula Wiedemann said. “This is the culmination of a lot of effort put in by our players and everyone who supports them as student-athletes. “We had players who put in the time to improve their habits as students, and it has paid off in many ways,” she added. Third team All-Academic Team (3.60 to 3.79). “Our PAWS (Promoting Academic Success With Student-Athletes) Program and Coordinator Nancy Fuller have done a terrific job helping our players develop their study skills and encouraging them to take full advantage of the resources available to them,” Wiedemann said. Implemented in spring 2002, Missouri State-West Plains’ PAWS Program consists of a group of students, faculty and staff who are dedicated to helping student-athletes develop the skills they need to excel in the classroom and provides additional assistance to student-athletes during study hall periods. This year’s recognition of eight Grizzlies for individual academic awards brings the total number of such honorees in the program’s history to 32; this is the 14th academic honor in the past 16 years for the entire team. For more information about the Grizzly Volleyball program, visit the team’s website or call 417-255-7950.